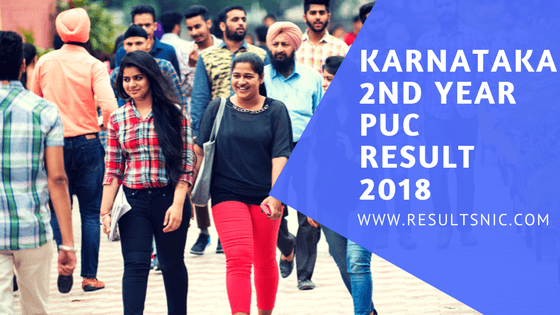 Karnataka PUC result 2018 has been released now. 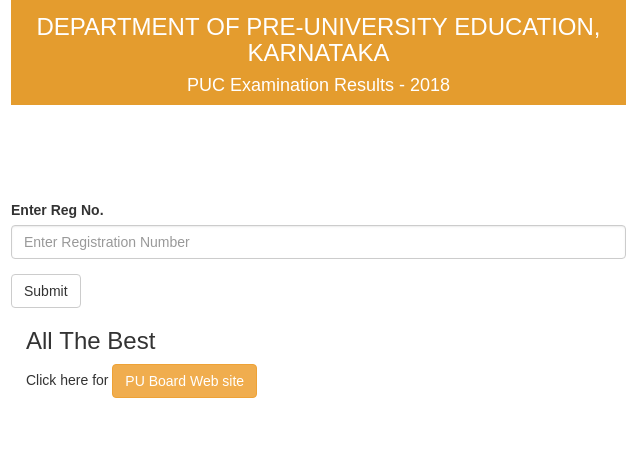 The Karnataka Pre-University Examination Board has announced the result on the official website and students can get the result now. Students can check Karnataka PUC result on karresults.nic.in. Total 690142 students in Karnataka had appeared for the PUC exam. The overall pass percentage for 2nd year PUC exam is59.96 % for 2018. In Science stream, the pass percentage is 67.48% and in Arts stream, the pass percentage is 45%. Dakshina Kannada district emerged with the best result in Karnataka PUC Examination 2018. 25 government colleges have registered 100% result in the exam. This year the Karnataka PUC exams were held from 1st March, 2018 to 17th March 2018. 52.3 is the pass percentage for boys and 67.1 is pass percentage for girls. The last date to apply for the re-verification process is 7th May 2018. Karnataka PUC 2018 Supplementary examination will be conducted in June 2018. 4. Get a print out of the result. Due to the heavy website traffic, students may face difficulty in checking their results. Board officials from the Director of the Department of Pre-University Education said that students will be awarded one grace mark for the Physics paper. Five additional marks will be given to all students who have attempted optional questions. Karnataka girls have got 67.11% pass percentage while boys have got 52.30%. The rural students have scored 59.95% whereas urban students secured 59.45%. As many as 3,52,292 boys and 3,37,860 girls have written the exam. The evaluation of the Second PU exam papers had begun on March 23. This year, a total of 6,90,150 candidates from across 4,725 colleges had registered for the Karnataka Pre University II year Certification Exam. The Karnataka PUC exams were held from March 1-17, 2018. There are 1202 Government Pre-University colleges, 637 Aided Pre-University colleges, 1936 Unaided Pre-University colleges, 165 bifurcated Pre-University colleges and 13 Corporation Pre-university colleges under Karnataka PUE. Every year almost 10 lakh students enroll for Pre-University Courses in Karnataka.